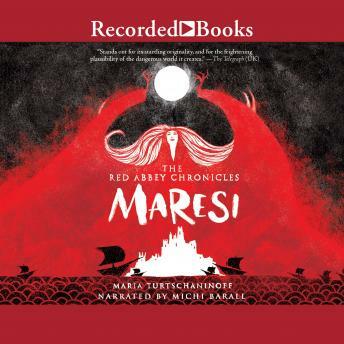 With publishers in a dozen countries, this first in a young adult fantasy trilogy with strong feminist themes is by an exciting new talent, Finnish writer Maria Turtschaninoff Only women and girls are allowed in the Red Abbey, a haven from abuse and oppression. Maresi, a thirteen-year-old novice there, arrived in the hunger winter and now lives a happy life in the Abbey, protected by the Mother and reveling in the vast library in the House of Knowledge, her favorite place. Into this idyllic existence comes Jai, a girl with a dark past. She has escaped her home after witnessing the killing of her beloved sister. Soon the dangers of the outside world follow Jai into the sacred space of the Abbey, and Maresi can no longer hide in books and words but must become one who acts. Bound for international success, Maresi will be published in 15 territories around the world!